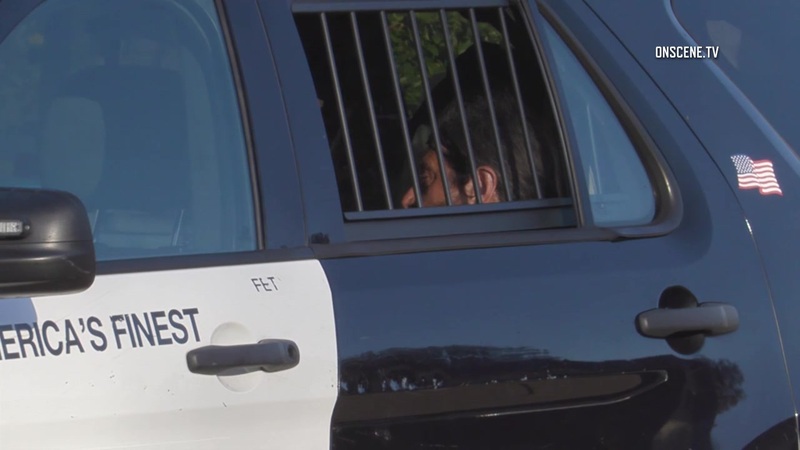 A Rancho Penasquitos man was arrested Thursday after allegedly stabbing a neighbor to death and fleeing the scene of the slaying on a bicycle. Officers responding to a report of an assault found 72-year-old Richard Munsinger mortally wounded in a residential garage in the 9500 block of High Park Lane about 2 p.m., according to San Diego police. Medics took Munsinger to a hospital, where he was pronounced dead, Lt. Matt Dobbs said. Shortly after receiving the emergency call about the stabbing, officers were directed by witnesses to a nearby location where they found the suspected assailant, 54-year-old Howard Forrest Lowe, riding a bicycle. Lowe surrendered peacefully and was arrested on suspicion of murder. The motive for the alleged slaying was unclear.